In a slight departure from the normal run of events, this publication of THE LETTER comprises both the Summer issue and the Autumn issue for the year 2000. Our hope is that this double dose will be medicine enough to carry the reader through to Spring 2001, when the third and final issue in this volume will see the light of day. That will bring to you the proceedings of the Seventh APPI November Congress, which will be in full swing as this present number is being distributed. To begin with I would like to examine the relationship between anxiety and neurosis in the way Freud impresses it on us. Does a neurosis have a stabilising effect, even stemming anxiety or, on the contrary, does it contribute to its increase? Can we assume a correlation between the two insofar as anxiety decreases at the rate of the structuring of the neurosis and vice versa? What meaning can we attribute to the physical discharge of anxiety? This is very different in hysteria, hypochondria and the so-called psychosomatic illness. A feature of the latter, if it appears in its ‘pure form’ and is not covered too much by the neurosis, is an almost complete absence of fear which can be understood as one of the reasons why the subject may not see any clear reasons for undergoing treatment. In most cases, however, anxiety appears as a motivational factor and so will generally be included in the list of psychical suffering. The 21st. Century will be Lacanian or it will be barbarian. What people call barbarian can be given a very strict, very rigorous definition. It is not simply a metaphor for vaguely designating the foreigner or the Barbaros, the person who could only say bar-bar-bar! Barbarism deserves a rigorous definition and I am happy to propose it to you. It consists in a social relation organised by a power that is no longer symbolic but real. From the moment that established power is supported, takes as reference its own force and nothing else, and does not try to defend or to protect anything other than its existence as power, well then we are barbarian. What is proper to democracy, is that the real power, the real forces by which it is supported, the police, the army, this real power is at the service of an authority that has a purely symbolic reference. Barbarism, for its part, is outside discourse, it is not based on a discourse, it is based only on the number of agents that are at its service. I doubted my own existence, and even today, I have no faith in it, none, so that I have to say, when I speak, Who speaks, and seek and so on, and similarly for all the things that happen to me and for which someone has to be found, for things that happen must have someone to happen to, someone must stop them. The speaker here is the voice in Beckett’s Unnamable. It is not just that things that happen must have someone to happen to, someone to lock on to, but also, as the voice says, someone must stop them. How? Earlier the voice spoke of his vice-existors, Murphy, Mahood, Worm etc. as those old buffers who carried a mere tittle of his own pain, the tittle as he says, that he thought he could put from him in order to witness it. It is this gesture of putting from one, this installation of the lying old buffer of our fictional identity, which is absent in the passage a Vacte. In the Seminar on The Psychoanalytic Act, Lacan refers to a particular type of absence as constitutive not just of the passage a l’acte but of any act: ‘It is a common dimension of the act not to include in its agency the presence of the subject’, he says. This statement is repeated at a number of points throughout the seminar. In fact Lacan specifically says that this is what the psychoanalytic act and the passage a Vacte have in common; this fact of knowing ‘that in every act there is something which escapes him as subject’. The Other is the dimension required in order for speech to affirm itself as truth. Despite its fundamental rule of free association, psychoanalysis is notorious for preventing one particular thing from being said – ‘No’. Pinned to a sofa, much like a point de capiton, the analysand can and must say anything at all. However, caught in the matrix of the analyst’s interpretive framework, he is unable to deny the accuracy of the remarks of this grande Autre. In the context of the session, yes means yes, but no also means yes. In fact, Freud makes a fundamental clinical rule out of Shakespeare’s ‘methinks thou doth protest too much’. The more frequent and vigorous the patient’s denials are, the closer the analyst presumes to be to unconscious truth. Book VII of Rousseau’s Confessions involves the story of an encounter between Jean-Jacques and Zulietta, a Venetian courtesan, which presents one of the richest highlights of an autobiography whose status is paradigmatic. I have read this episode in conjunction with a spectrum of Lacanian theory which has as its focus the psychopathological incidence of anxiety and its effects on the emotional and perceptual faculties of the human subject. My objective in bringing Rousseau and Lacan together is to look afresh at the possibilities yielded by psychoanalytic inquiry into the work of Rousseau, and to provoke further exploration and discussion of the ways in which our understanding of autobiographical texts can be revitalised by detailed readings inspired by the work of major psychoanalytic thinkers. Formulation of the Problem: A New Diagnosis? The psychiatric landscape has undergone a lot of changes in the last couple of years. This constant evolution shouldn’t surprise us, considering its youthful existence and bearing in mind that psychiatry always follows in the wake of an ongoing society. Hysteria is commonly known to adapt itself to the prevailing discourse, but that psychoses should also be appearing in a new attire is a relatively new feature. Since Nietzsche’s creed that God is dead one has rarely come across the ‘traditional’ psychotic delusions, such as the religious delusion of redemption. In the footsteps of literary forerunners like Burroughs, Huxley and Leary, psychotics have discovered drugs, – drugs which we consider as one of the current symptoms of discomfort in our post-modern culture. Interpretations that focus directly on signification are not psychoanalytical in the Freudian-Lacanian sense. Such interpretations characterise, on the contrary, the paranoid psychosis. This is borne out theoretically by Lacan and Watzlawick. M. Klein’s clinical cases demonstrate that interpretations that focus on significations induce a paranoid-like exacerbation of the imaginary. Freud and Lacan on the other hand, aim at the signifier. The significations that Freudian psychoanalysis validates are those which result from the correlation of two signifiers. The philosopher Bertrand Russell once referred to common sense as the ‘metaphysics of the savages’ and in this rather smug way I think he was attempting to draw a distinction between serious reflection and what can at times pass for such. This quote struck me quite often as I was writing the present work for it seemed to cut to the quick of my subject matter. In other words, is the true-self the opium of a psychologically informed cultural discourse, a search for a psychic holy grail, or is it, as Lacan would argue, an alienating fiction produced as a defence against the painful realities of unconscious desire? 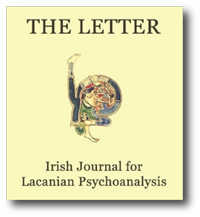 This paper reviews selected writings of two people, Maud Mannoni and Valerie Sinason, both of whom have worked psychoanalytically with people with a learning disability, with a view to considering in light of their work, whether psychoanalysis is appropriate to this patient group. In the 1960s there was a renewal of interest in handicap in France. Here the torch for psychodynamic thinking in mental handicap was carried by psychoanalyst Maud Mannoni, and most clearly shown in her work, The Retarded Child and His Mother.1 Opening her book with the question, ‘How does one become an analyst?’ Mannoni affirms immediately that the events that marked her life are not without relation to her interests in retarded development and psychosis. In 1998, a note promoting the forthcoming Colloquium on L’Opacite Sexuelle in the Ecole Lacanienne de Paris announced, almost as if it were now a received truth, that Michel Foucault’s History of Sexuality had ‘cut the ground from under the feet of psychoanalysts’. Up to this I had held the rather complacent view that while Foucault was of course one of the more important contemporary thinkers he was not of central relevance to psychoanalysis. Even a yearlong staff seminar on The Birth of the Clinic had done little to modify this view. But this startling and indeed sobering remark coming from such a prestigious source is certainly worthy of investigation and assessment! I am not aware that anybody has in fact taken it up either in the Colloquium or elsewhere and this article by a non-specialist is far from being the complete response that it deserves. I have simply tried to look carefully at the three-volume work in question, to see whether in fact it undermines my own position as a Lacanian psychoanalyst. I have also tried to provide enough introductory material to encourage colleagues to read this remarkable work, which so far seems to have been relatively neglected by English-speaking analysts. I would like to tell you, by way of introduction, about a debate I once had with some judges, about an experience which is of course a major one in our culture: that of crime. I recall that we were perpetually confronted with the hard and sombre heart of the criminal act, and that many saw, in the perplexity that took hold of us on each occasion, the sign of a radical lack of understanding which finally sent us back to the mystery of Evil itself. At that point I tried to defend the thesis which maintains that the difficulty, the complication of the criminal act, comes less from a fundamental obscurity which is thought to be essential to crime, from a hidden and as it were impenetrable identity, than from the historic entanglements, the complex sedimentation of discourses about crime, which meant that when we spoke about it we always stumbled, less because of an essential difficulty, than because of, I believe, a historical confusion of discourses. Every once in a while one has the sense of being in the middle of something completely ‘cutting edge’ or ‘state of the art’, hearing something utterly fresh. Such was the sensory experience generated by the inaugural conference on Neuroscientific and Psychoanalytic Perspectives on Emotion, organised by the Anna Freud Centre in London this summer. There is an almost canonical belief that neuroscience and psychoanalysis can never meet -and it has to be said that this view is adhered to far more tenaciously by psychoanalysts than by neuroscientists. However those attending this conference will have had the sensation of having been just about to say themselves that dialogue between the two perspectives was not only possible but also essential for the survival of both. Indeed the result of the conference was similar to that of a good analytic interpretation – while memories of the factual content may have faded, what was articulated seems to resonate with what is below the surface of our thinking and it certainly gave rise to much in the way of further associations. One had the sense of something crucial being articulated without any particular view being privileged as the correct one.